My mornings in Cairo begin at 5:00am when the rays of sunlight begin to enter my room and I hear the barking dogs and the chant “Brikiya”. Mounira, my temporary neighborhood, is a mix of working class Egyptian, Sudanese, North American, and European folk who lose each other daily in translation. When I step out of my door, the street cats greet me at the door–thinking that I have food. (Myroommate feeds them twice a day so this is not an unreasonable assumption.) Although I would like to think that the streets are empty at 6:00am that is far from the reality. Instead, middle aged men are eating foul, tomatoes, onions and bread at the local food stand. The fruit vendors have adjusted themselves to their section of the block–never skipping a beat with their early morning transactions. 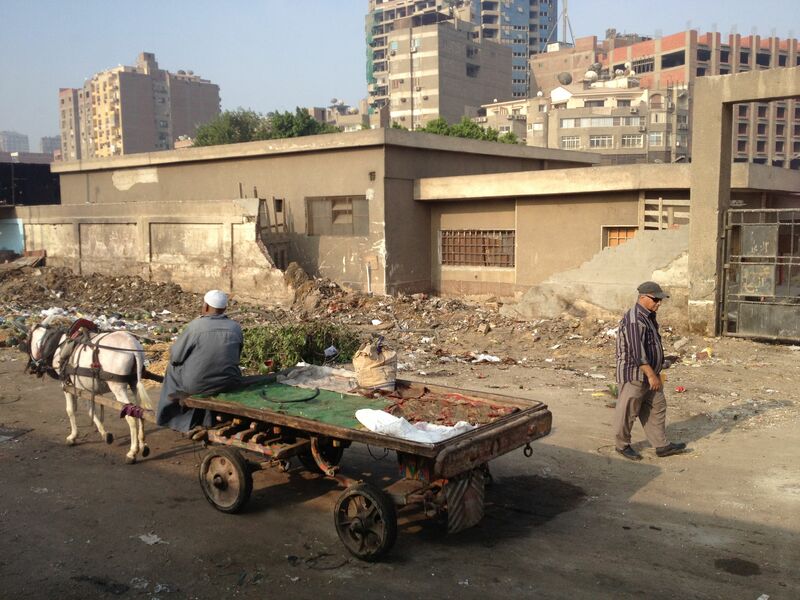 My block is breathing with horses, rubbish, school children, and officials. 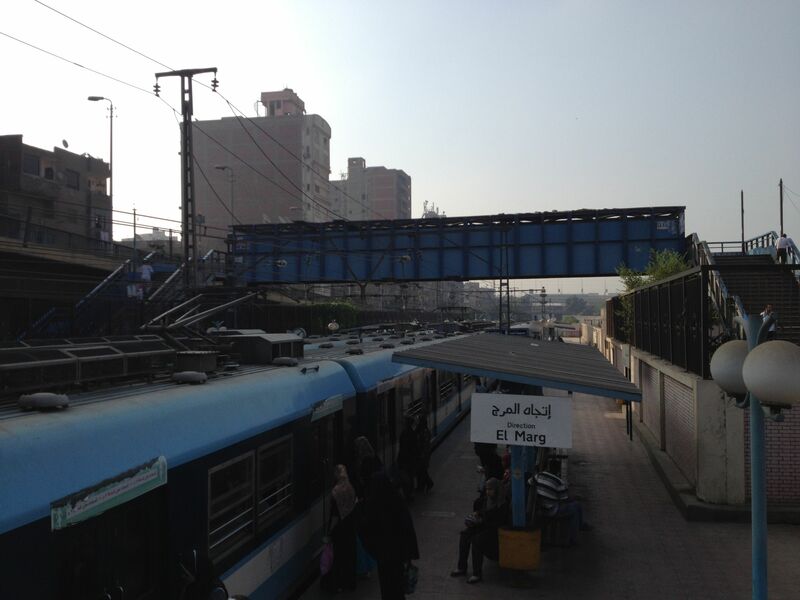 For part of my commute, I take the subway to the Zahraa metro stop (formerly named after Hosni Mubarak). I usually go to the woman’s only car since there is more space and I receive less stares. Sometimes, the gazes from the women emerge from their curiosity. 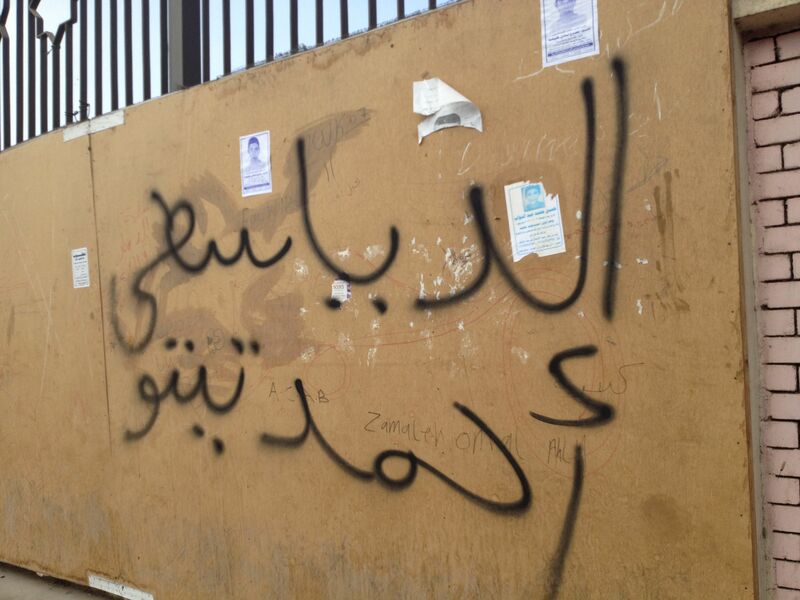 “Min ayna?” is a phrase that people usually say out loud when they are brave. If they are even more assertive they say “Ifrika?” I wish my Arabic were good enough for me to say “We are all African”. Other times, the stares harbor disdain or disapproval. On rare occasions the gaze is muddled with mockery as if I were part of some late 19th century Parisian expedition. In these moments I feel like Sarah Baartman. Either way, the ten minute metro ride is a cultural moment. One in which I see public performances of urban low income women. 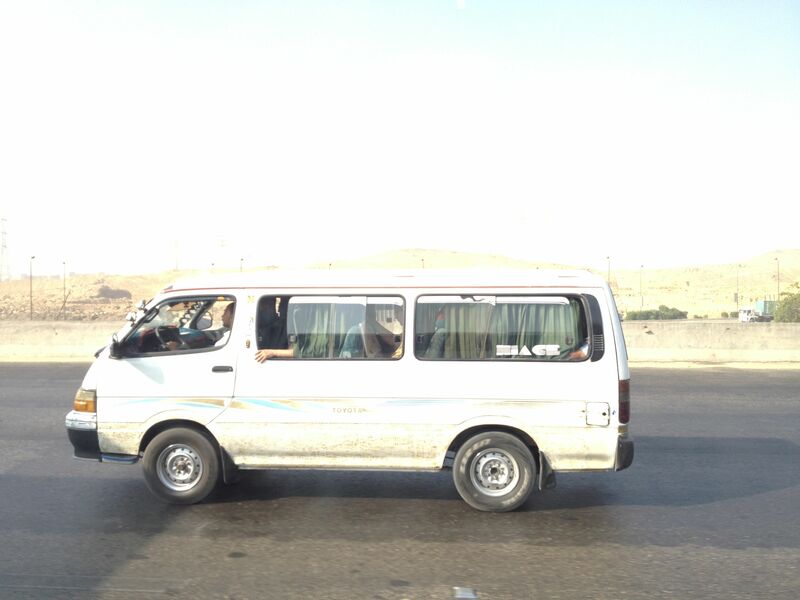 When I arrive to Zahraa, I usually pass through a stream of taxis, microbuses, horses and motorbikes. I eventually make my way across the busy street–sticking my arm out (with confidence) in order to insure I am not run over. I walk upon the AUC bus with the other commuters. Equipped with wifi, air conditioning and space, my commute is comfortable and less stressful than the subway ride. 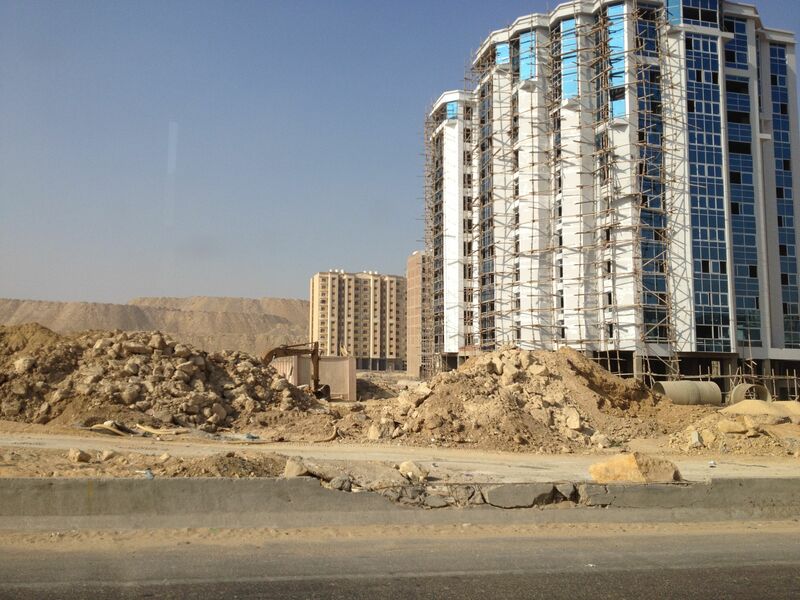 I become part of a bus ride that takes me through highways and new settlements that will eventually take me to New Cairo–a suburban ghost town seeking an American nightmare. Far out in the desert with strip malls and gated communities. Its only attribute is a breath of fresh air from Downtown Cairo. 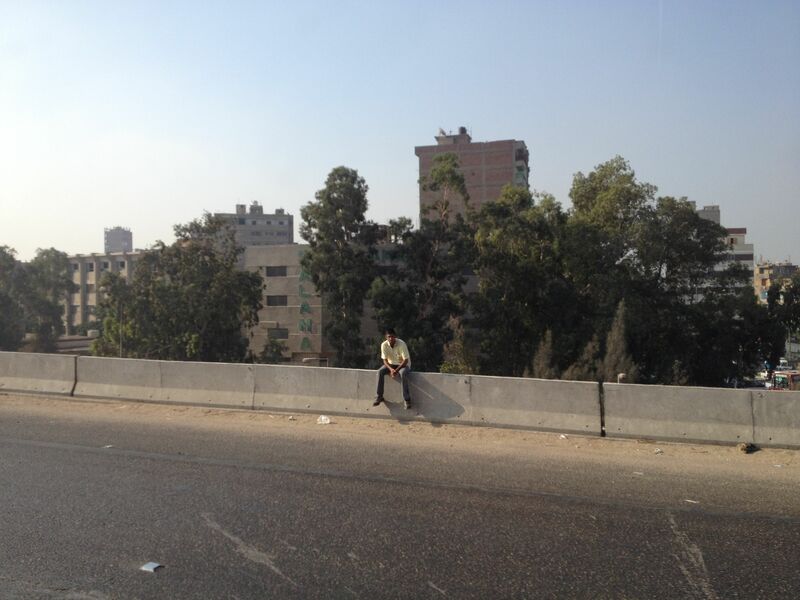 My morning commute is interlaced with the working class and an elite university in Cairo. Together, they create my complicated relationship in Egypt as a dark skinned woman who can never blend. Yet, I temporarily shift the consciousness of what type of foreign woman can occupy academia and public spaces in Cairo. These pictures show a glimpse of that morning journey.